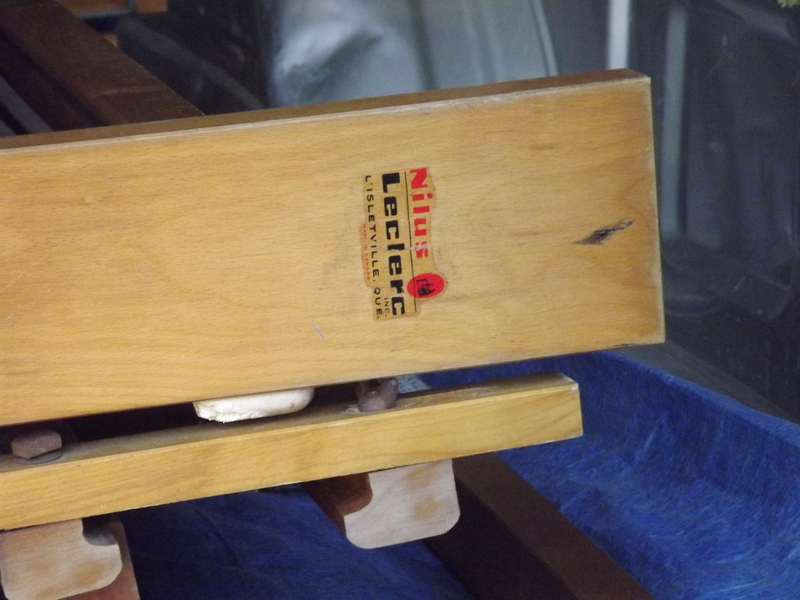 We recently welcomed a new addition to the family–this lovely old Nilus Leclerc floor loom! You see, a thousand years ago when I was about the same age as my big boy is now, I took some weaving and spinning lessons at Strawbery Banke in Portsmouth, NH. And I adored it. I guess you might say that my love affair with fiber and fabric began then. But which working class family can afford to buy spinning wheels and floor looms for their elementary age daughter? Mine sure couldn’t, and eventually my interest waned, my memory grew rusty, and I filed the lessons (and the love) away with other interesting (and unrepeatable) experiences. In college I bought an old Singer sewing machine and began experimenting with making my own “hippie” clothes, as well as curtains and quilts. Again though, as life moved along and time became more compressed, I lost touch with that as well. Until a few years ago when a good friend, fiber artist Rachel Bingham Kessler, reminded me that fabric is fun, and then taught me to knit. The fire was rekindled, and I’ve been working to include more creating in my life ever since. 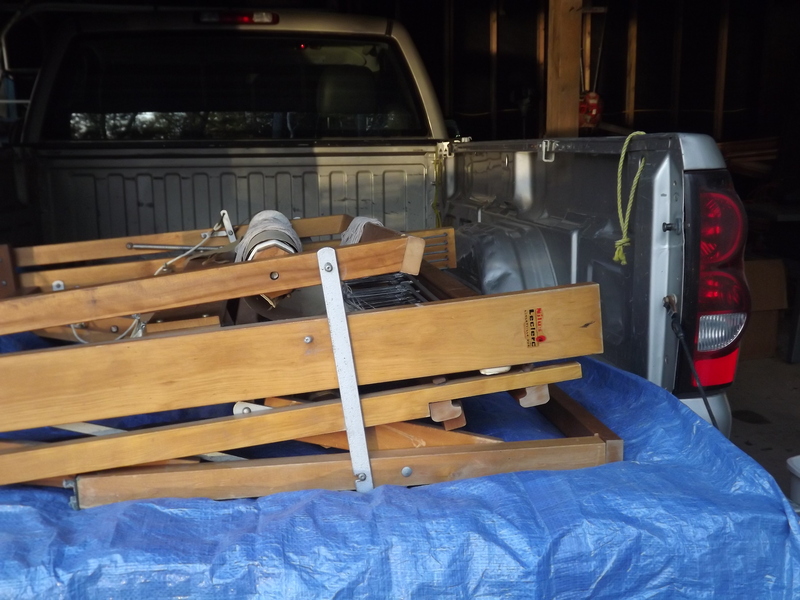 So when I recently saw a friend’s Facebook status about needing to sell a floor loom, I was all a-quiver. After checking with my hubby (about space and finances) and Rachel (about quality), I jumped at the chance, and a few weeks ago, Andrew and a friend drove to Dexter to pick up this beauty. 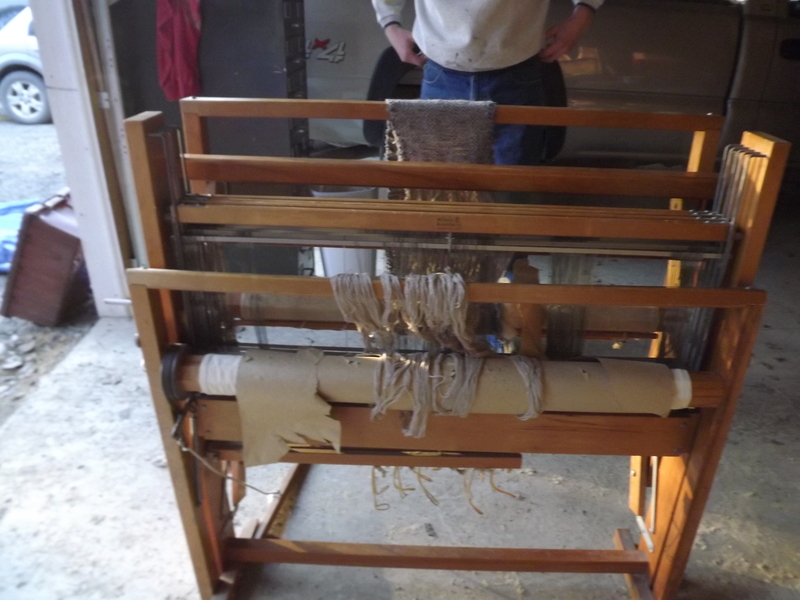 My friend Emily bought the loom about 20 years ago from a woman who had owned it for about 20 years, but you’d never know! It looks nearly new. We’re still working the bugs out as to where to keep it and how to use it (great planning, huh? ), but I’m thrilled to call it my own. So many possibilities! I know that thrill. 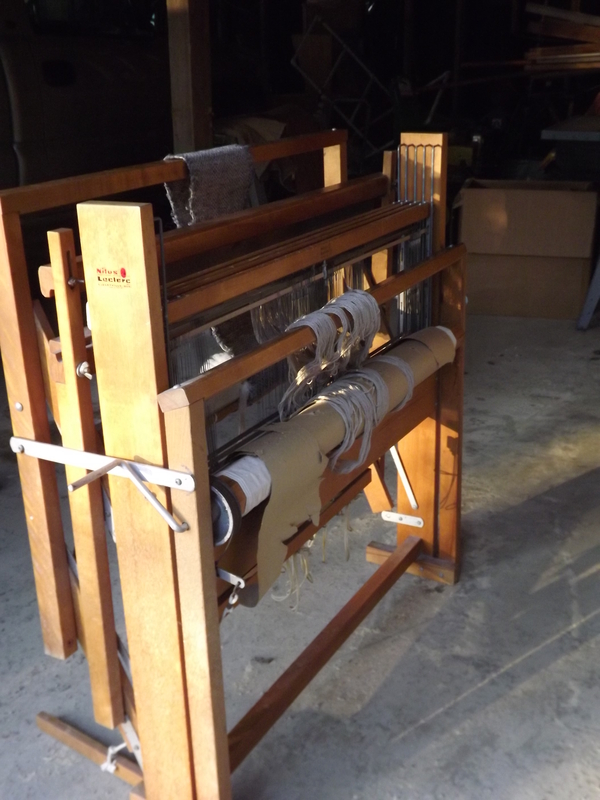 I have just brought my new (pre-loved) loom home, too. 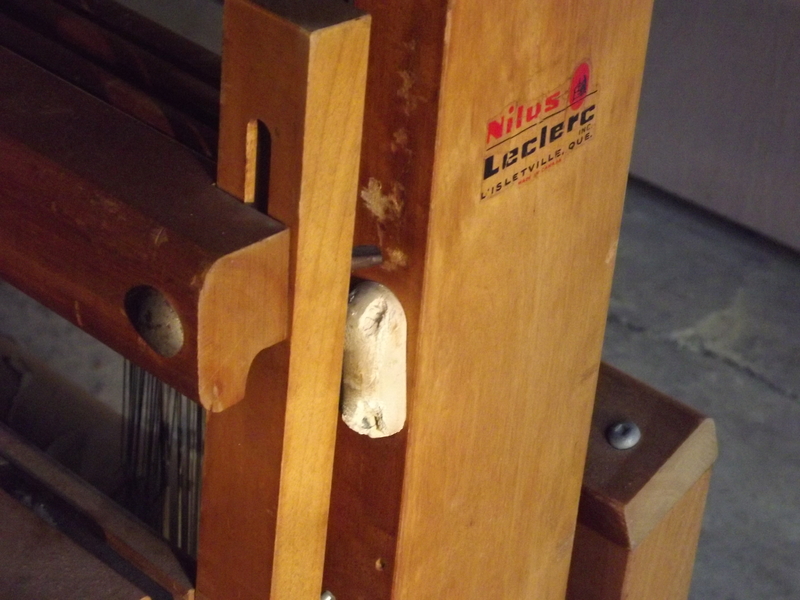 I’m honestly a bit worried about how to dress it – I don’t know if I should do anything differently from the table loom I’m using in my weaving class. I guess I’ll be discovering the answer soon. Meanwhile I’m reading up as much as possible on the internet and buying a couple of books for my weaving library. Good luck with your adventure! Good luck to you too! Mine came still partially dressed, and it’s been years since I even participated in dressed. I’ll be reading plenty too, and feeling so thankful for my dear friend Rachel and her wisdom and experience.